In Western Australia, robotic surgery for gynaecology and gynaecological oncology was pioneered by Dr Jason Tan with the da Vinci System. There is no firm evidence supporting robotic surgery over laparoscopic surgery; however, the use of robotic technology allows minimally invasive approach for highly complicated surgeries due to better vision and dexterity offered by the robotic Instrumentation. 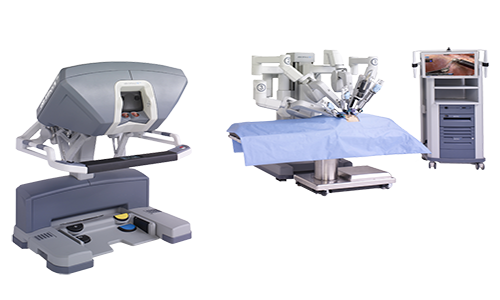 With the da Vinci System, surgeons operate through a few small incisions instead of a large open incision that is common in an open surgery. The da Vinci System provides a surgeon with a three-dimensional (3D) high definition (HD) view inside the body. The da Vinci System has special wristed instruments that bend and rotate at an extended range. As a result, it enables a surgeon to operate with enhanced vision, precision and control. The state-of-the-art da Vinci System uses the latest in surgical and robotics technologies for simple and complex procedures. The surgeon controls the da Vinci System that translates hand movements into smaller and more precise movements of tiny instruments inside the body. The da Vinci System has brought minimally invasive surgery to more than two million patients worldwide.